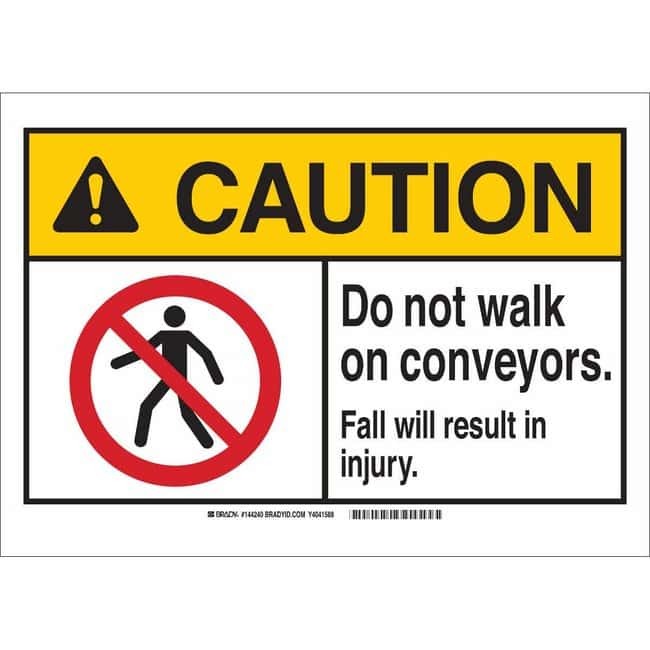 Brady Aluminum Sign: DO NOT WALK ON CONVEYORS. FALL WILL RESULT IN INJURY. Brady Aluminum Sign: DO NOT WALK ON CONVEYORS. FALL WILL RESULT IN INJURY.